Donald Trump has previously made similar threats, including in December in the early days of America's longest ever federal government shutdown. Donald Trump threatens to shut southern borders soon if nothing is done to stop illegal immigrants to US. President Donald Trump renewed Thursday his threat to close the vital US-Mexico border, claiming America's southern neighbor was doing "NOTHING" to slow the flow of illegal immigrants to the United States. In a flurry of early morning tweets, Trump warned: "May close the Southern Border!" "Mexico is doing NOTHING to help stop the flow of illegal immigrants to our Country. They are all talk and no action," he added. Trump has previously made similar threats, including in December in the early days of America's longest ever federal government shutdown, when he vowed to seal the frontier "entirely" if Congress does not approve billions of dollars in funding for a wall. 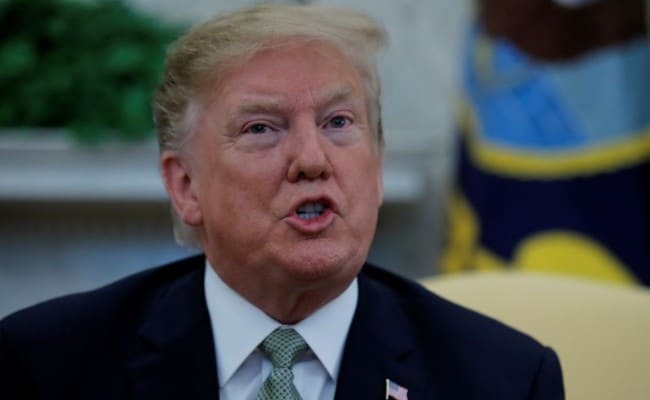 Lawmakers demurred and Trump declared a national emergency instead to bypass Congress and unlock the money to fulfill his 2016 campaign promise to build a border wall. Although there has been a surge in arrivals of families and children at the border, overall apprehensions there are down substantially from a decade or more ago.